These Two Sisters Take The Stage and Leave The Whole Audience In Tears. 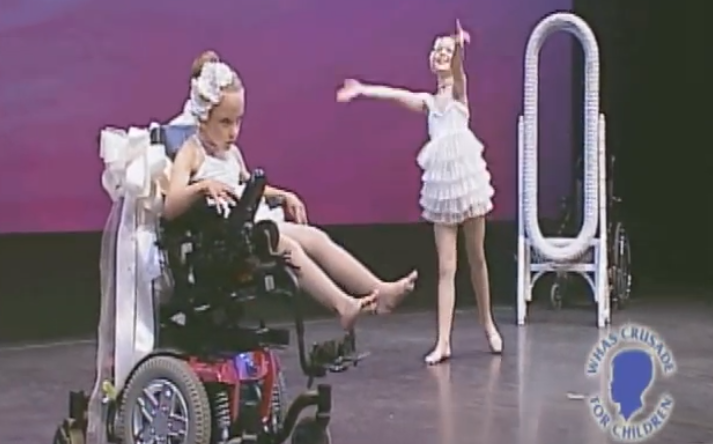 Meet two beautiful sisters Gracie and Quincy Latkovski who both love to dance. They love getting on stage, having the spotlight on them and wowing the audience with their incredible dancing. However, Gracie has cystic fibrosis and cerebral palsy and has been in a wheelchair for her whole life. Even though she has this disability, she doesn’t let it stop her from being a normal little girl. She still loves doing all the things little girls love to do. In the video below, these two talented little girls give an amazing performance to the song “Reflections” by Jackie Evancho. The choreography is set perfectly to the song lyrics as the two sisters mirror each other, representing their deep bond. This is such a beautiful and emotional performance. Enjoy!